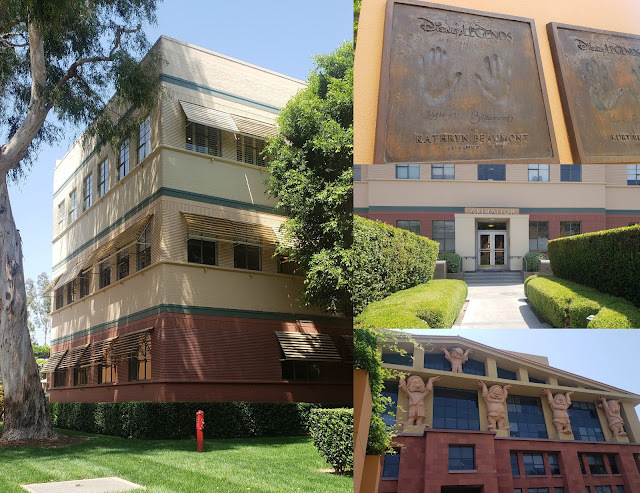 While I was in LA to celebrate the 65th anniversary of the classic film Peter Pan, we were very fortunate to be able to take a tour of Walt Disney's office! The office where Walt Disney worked for many many years. In 1940 Walt Disney moved his animation studios from the original Hyperion studios to Burbank, from 1940-1966 Walt Disney worked on the third-floor office, this is where the magic of Disney Animation was born. Where your favorite films were dreamed up, what an honor it was to walk through this amazing place. Did you know that Walt had multiple secretaries and multiple offices? Well, Walt had the offices for different reasons, when you walk into the room you start off in Walt's formal office. This was the organized office that Walt wanted to show the world. This was for more professional meetings and was always super neat and clean. The office was filled with items collected from around the world from Walt’s travels or from gifts. One of the items that stuck out for me was this tiny birdcage that Walt found in New Orleans, the birds would sing and move… This very bird cage helped Walt come up with the idea of Audio Animatronics, such a little thing that turns on the imagination and leads to the invention that Disney is known for… so very cool. Most of the offices are filled with authentic artifacts. Some items however the originals are in the possession of Walt Disney’s family members. Such as the hand-drawn pictures of Walt Disney’s daughters, drawn by Norman Rockwell. Reproductions are there in place of the originals. There was a piano in the office as well… This was used to help create some of your favorite songs. Just imagine Walt and the Sherman brothers working together, coming up with a soon to be classic Disney song? We were told on the tour that Richard Sherman came and visited the office when it was fully restored and sat down and played this piano, he played “Feed the Birds” from Mary Poppins, in honor of Walt, because this was his favorite song. The more informal office looked similar but Walt Disney liked to have a separate space so he could have his paperwork or art lying around the office. Walt's Working Office was filled with paperwork, rolls of paper and plenty of cool maps on the walls. One huge map showed an early version of Disney Land. This office even had an original to the office box of tissues, this may be a basic thing but pretty great that even down to the tissues! Recognize this map? It shows “The Florida Project” aka the soon to be area that would become Disney World. Walt did not live to see this, but his dream was there right across from his desk, to dream and plan for this magnificent world that would be part of our lives one day. 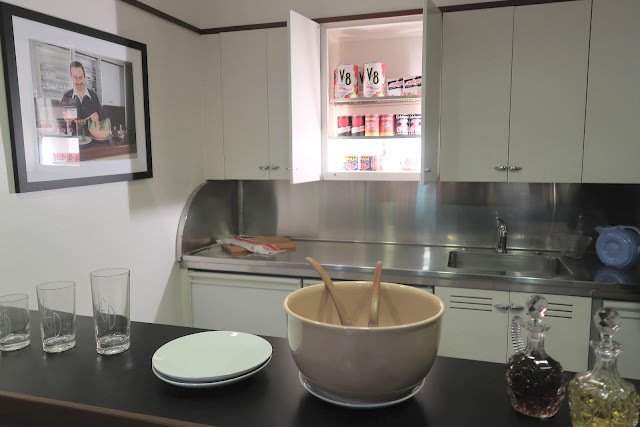 With the help of Dave Smith, the office is authentic… even down to the books on the bookshelf they are exactly how Walt left them, even down to the smallest detail some books are upside down, some right-side up, however, Walt left them, that is how they are now on these shelves. The offices are just as they were when Walt was there, just an awesome experience. After checking out this legendary office we were up for another super treat. Have you ever been on a scavenger hunt? 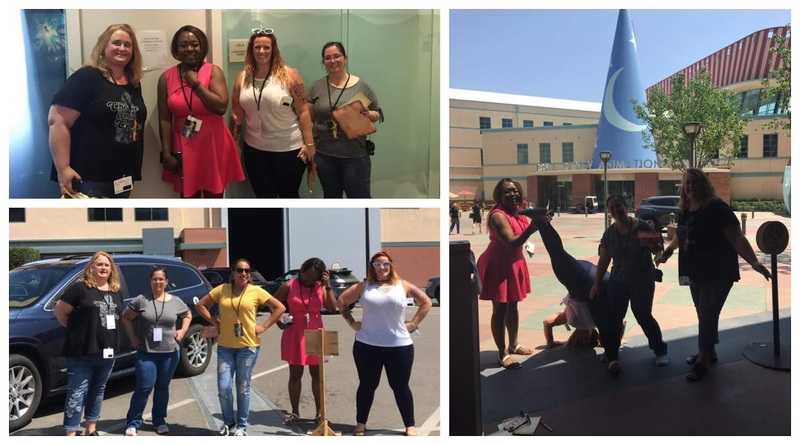 I had been on a small one before, but this scavenger hunt I was going on today would be at the Disney Studios Lot! Yes, I would be able to run around and find clues all over where Walt and his team worked. From the Animation building to the Ink and Paint building. 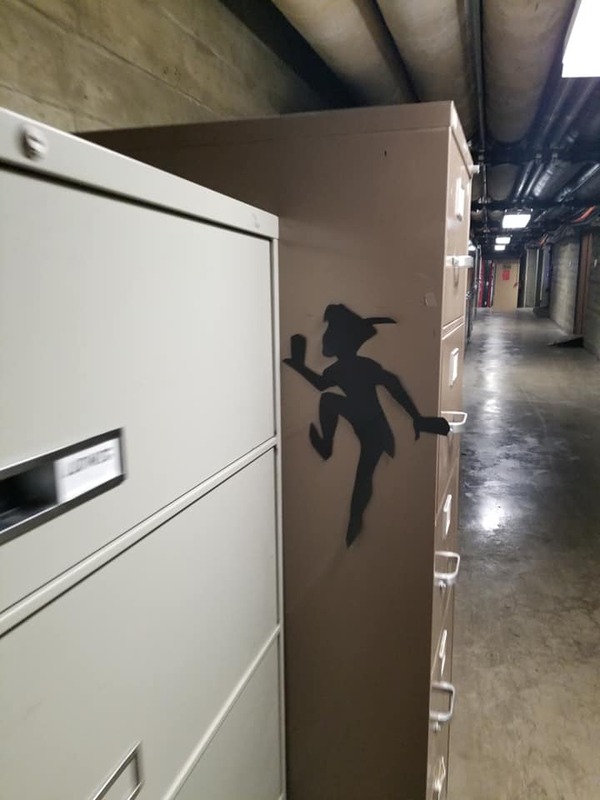 We were tasked to find the clues, find hidden Peter Pan “shadows”, find folks dressed in all colors of the rainbow, and to stomp on others shadows all for points. The lucky team would win a cool prize. For me being able to participate in an event like this was the ultimate prize. Just to think… I am sure ultimate Disney fans would pay $$ to be able to participate in something like this. We were off! Determined to take team Tinkerbell to the finish line, and to get that grand prize! Our knowledge of Peter Pan was put to the test, from Peter Pan themed clues to Peter Pan puzzles, to trivia questions. How well did we know Peter Pan, we thought we knew the movie well, but will it be enough to win? One of our clues brought us to the secret tunnel that runs below the studios…. Ohhh… this tunnel was used to transport cells and artwork across the lot, to keep them safe and dry. Now it is used for storage, but what a cool place to be able to visit! Did we win? We were close 2nd place we were only a few points apart... Aaack! So close! Oh well, it was still such a super fun experience, the scavenger hunt was so well put together and a great time had by all. 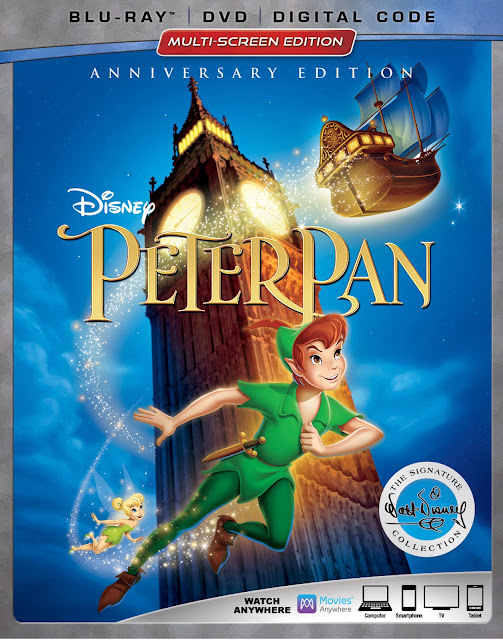 After having all this Peter Pan themed fun, I can not wait to check out the 65th anniversary Walt Disney Signature collection Peter Pan this will be available on Digital May 29 and on Blu-ray™ June 5th. Stay tuned, I will have more Peter Pan info and fun to share soon! Wow, what cool photos. That office is unreal. Thanks for posting! I would love to visit there one day. I haven't seen the Christopher Robin movie yet, but need to check it out on DVD for family movie night.